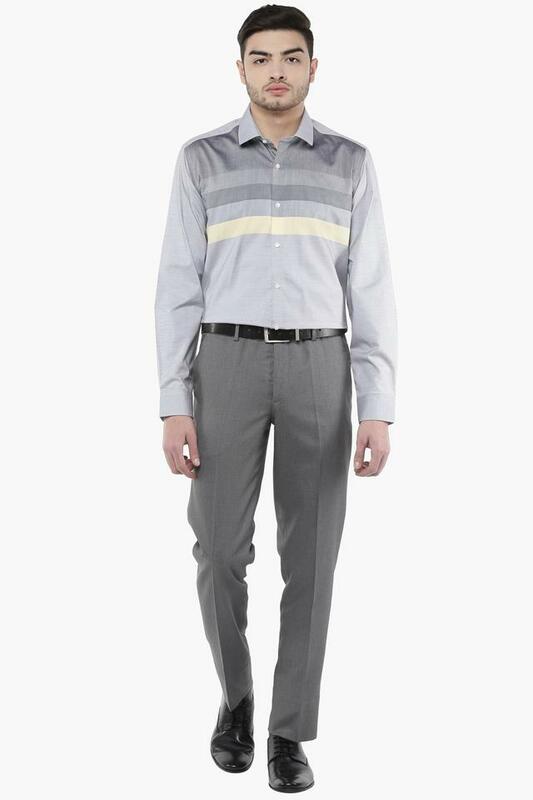 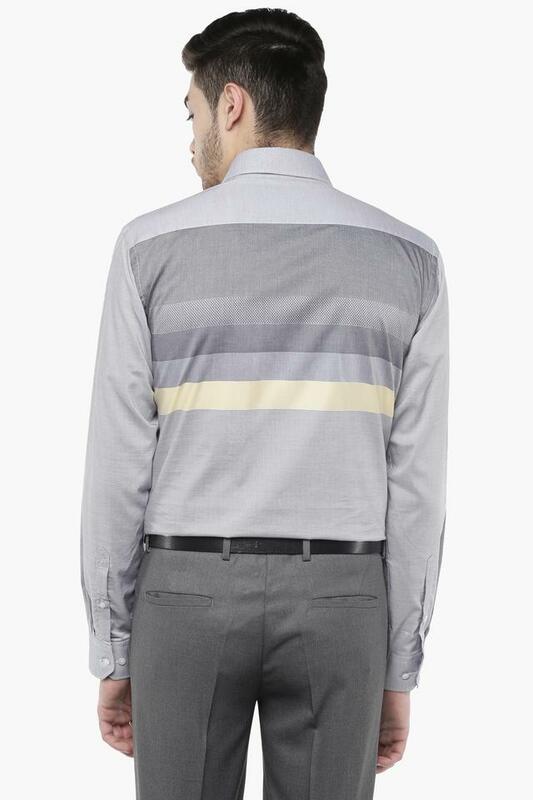 With a stripe pattern, this shirt from the house of RS by Rocky Star has a classy appeal. 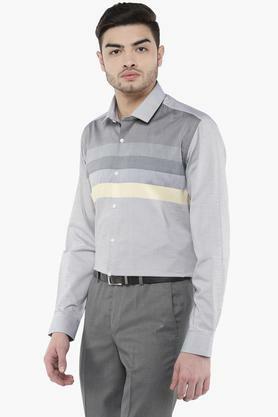 Besides, it has a regular collar that renders it smart while the full sleeves further add to its overall design. In addition, it comes with a full button closure at the front that makes it convenient to wear. 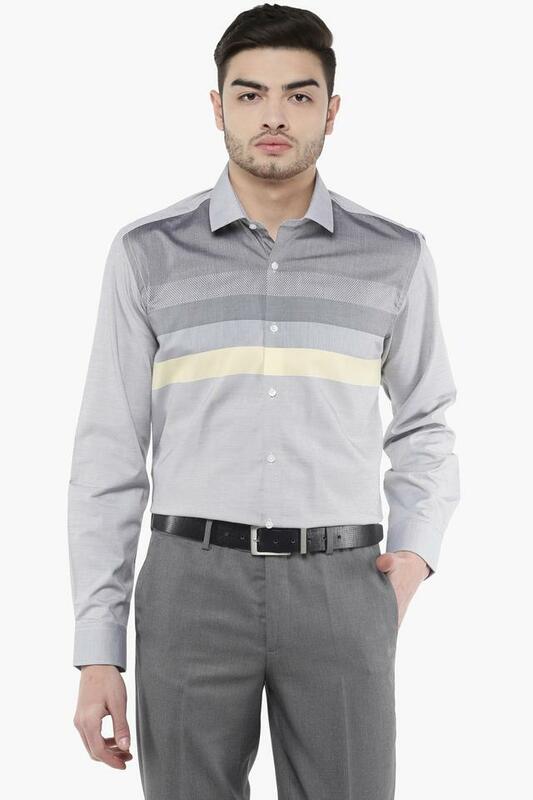 Featuring full sleeves, this shirt works for all formal occasions. You can match it with a pair of chinos and lace up shoes to make a distinct style statement.